The NBA Playoffs will be upon us soon and the Cavaliers are looking for the win or two they still need to lock up home court advantage in the East. No Eastern Conference team has come close to knocking them off their perch as favorites, but it’s been an unusually tumultuous season for a team about to win nearly 60 games. LeBron James’ extensive pull in the Cavaliers organization cannot help but place him at the center of all of it. He had his Head Coach fired after a 31-9 start. He threw a tantrum in a players-only meeting shortly thereafter. When he’s not dressing down his teammates on the court, he’s passive-aggressively throwing shade at them on Twitter. There’s not much you can count on from Cleveland in the postseason except that the actual influence of those mild acts of petulance will be overstated when they are eliminated. However, all of these issues stem from the unavoidable reality that LeBron James is grappling with NBA mortality, and Golden State isn’t going anywhere. In retrospect, the series of events that led to LeBron’s homecoming are the stuff of fiction. First, the Cleveland front office needed to be so incompetent at fielding a team around a younger LeBron that a generational talent only advanced out of the NBA’s weaker conference one time in seven seasons. Then, they needed to be so incompetent at fielding a successful NBA team after his departure and so lucky that they won the NBA Draft lottery three times in four years. Say what you’d like about LeBron making his valiant return home, but LeBron’s choice to return to the Cleve was a basketball decision. He had just seen an aging Miami squad get obliterated in a NBA Finals to those damn Spurs, and Cleveland had both a rising star in Kyrie Irving and the trade assets to acquire another top-10 player. It was clearly the right call. Wade. Chris Bosh had made the transition to pick-and-roll stretch 4 in Miami. Kevin Love was already a devastating pick-and-roll stretch 4. LeBron’s best-laid plans have not worked out quite as well as he hoped. Two full seasons later, neither David Blatt nor current Head Coach Tyronn Lue have figured out an offense that properly uses James, Irving, and Love. Love in particular is frustratingly underutilized for a player on a max contract. LeBron, Kyrie, and Love are all players that need the ball in their hands and playing to the strengths of one inevitably undercuts the effectiveness of the other two. But it becomes problematic for the Cavaliers because LeBron needs the ball, and both Kyrie and Love are poor defenders who need to be fully utilized on offense to justify their stature on the team. 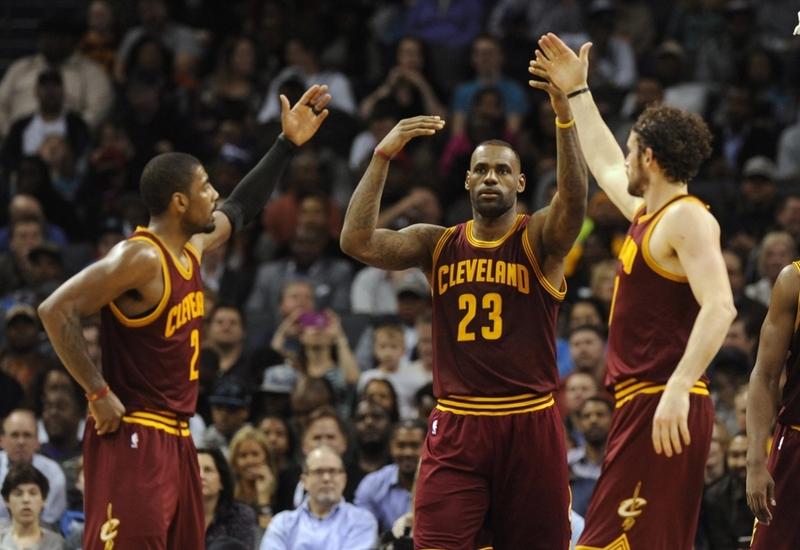 The sheer amount of talent on the Cavs roster means that they can still run effective lineups. Their most devastating offensive lineup involves going small and putting Kevin Love at the 5. But as unguardable as those sets are on offense, they are swiss cheese on defense, capable of being picked apart by even middling offensive teams. So this is the conundrum LeBron James finds himself in: He’s on a team that is very good, but not great; one not good enough to win a title barring a rash of injuries from their eventual NBA Finals opponent. You can count the number of all-time basketball players who are better than LeBron on one hand, and he may retire with just two opportunistically acquired rings. It begs the question…Might he have an easier time elsewhere? Even if one is to believe the latest rumors/speculation that LeBron may look to form another ‘SuperTeam’ built around his friends and veteran peers (the most popular example you see would be joining up with Chris Paul and good friend Carmelo Anthony), would it really work? 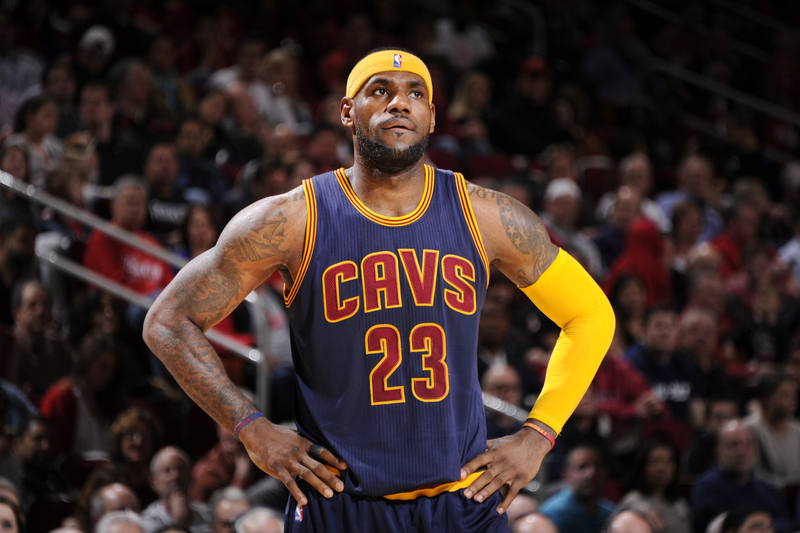 Is a team of past-their-peak Superstars really a better option for LeBron than these Cavs? That’s for LeBron to decide this offseason. He must know just how bad the PR would be for him to ditch Cleveland in favor of a better chance to win titles again. He risks breaking his hometown’s heart a second time and, if everything works out the way he drew it up this time, being labeled as the NBA’s first true Mercenary Champion. For whatever it’s worth, I don’t think LeBron James is leaving Cleveland. The tweets, the pouting, the shouting, the bitter beer faces, all of it is irritating. But, it’s also understandable. The Cavs are mired in “The Land of Good but Not Good Enough” and it’s hard to see how they’re ever going to break through. LeBron is 31 years old with more NBA minutes played at his age than anyone in the history of the League in addition to 3 Olympic tournaments. Winning a title is going to get harder every single year, and there is a young juggernaut out west that shows no signs of slowing down. LeBron’s window to win in Cleveland is closing. He better figure something out soon if he wants ring #3.